Before anyone sends me hate mail and posts hate comments on this blog, I don’t really believe that libraries shouldn’t have children’s librarians. But, I do think there is a disparity between the number of children’s librarians and teen librarians in libraries. (I don’t think anyone can fight me on that.) And, I do think, teens, and our communities, would be better served if there were more full-time librarians dedicated to serving teens – right along side full-time librarians dedicated to serving children. I have used this provocative statement before, and it has engendered some interesting conversations with people about why teen librarians are far from as common in libraries as children’s librarians. It’s also led to useful conversations about why it’s important to have staff dedicated to teen services. Children’s staff have given me some really good insights into their work. And, I think, I’ve been able to give them some insights into the importance of teen librarians. Why was this so conversation-stopping to me? Because, I realized, this is a sentiment in many libraries when it comes to children’s services, but I don’t think it is as common a sentiment when it comes to teen services. 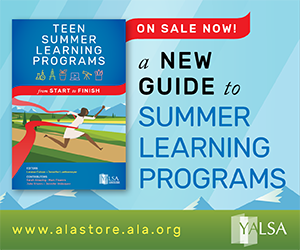 There’s no doubt we’ve made great progress over the past several years in helping communities realize the importance of teen services, and of having a full-time teen librarian on staff. But, obviously, there is definitely more work to do. 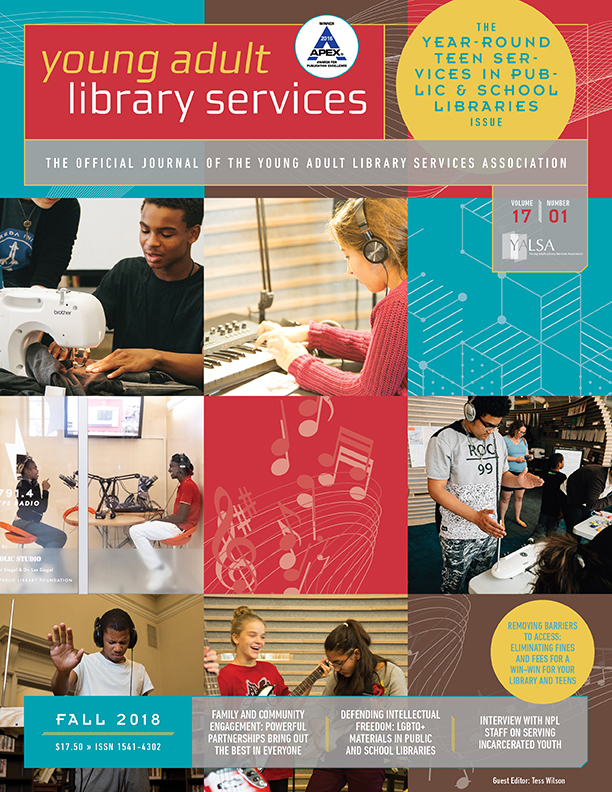 That work entails getting out and talking with people in the community – and not just in the library – about what teen librarians do. It means going to parent teacher nights and talking about teen services. It means going to town department meetings and talking about why libraries need to serve teens with full-time dedicated staff. It means participating in events like Library Legislative Day and talking with elected officials about teens and library services for them. It means writing articles for the local newspaper about the important role librarians play in teen lives. It means not being afraid to stand up and speak-up about the great work that you do. Children’s librarians, I definitely appreciate the work that you do every day. I know it’s important and of great value to the community. 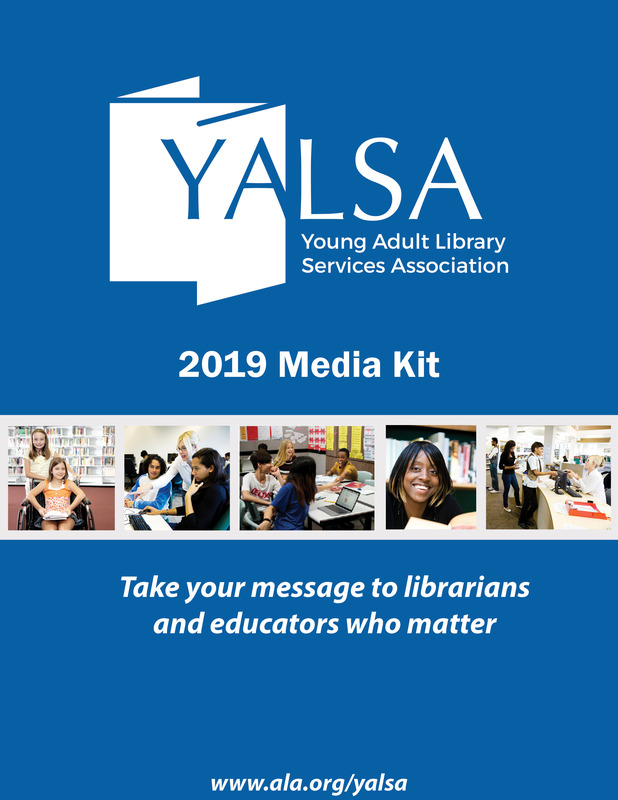 But, I plan to continue to provoke all librarians – children’s teen, adult, reference, directors, and trustees – in order to help them realize how and why it is important for every library to have full-time dedicated teen services staff. What’s interesting to me is that I see the opposite trend in schools, at least here in Massachusetts. High schools are required to have a certified librarian for accreditation, but that’s not true of elementary or middle schools–meaning a lot of elementary and middle schools have paraprofessionals, or volunteers, or no librarians (or even worse–no libraries) at all. MK that’s a really interesting point. I think that what goes on in MA is common in other states. What I wonder with your point in mind, is what does this construct say about how communities think about libraries and teens? Does it mean that adults think teens need high school libraries because that’s when teens need to study for SATs, and take part in other tasks in order to get into college? Does it mean that before high school the common thought is that teens don’t need support on research skills or leisure reading? Does it mean that schools abdicate their responsibility to k-5/6 graders needs to learn how to do research and enjoy leisure reading and leave that to the public library? And then I wonder, if there aren’t school librarians in k-5 as well as 6-8 where does that leave middle schoolers who might not also have a teen librarian in their public library, I assume the k-5 group has a children’s librarian? What a great post. It struck a chord with me because while I was reading it I thought, “Why, yes, of course!” and yet these thoughts had never occurred to me. People wring their hands about teens in general and give lip service to the idea of having programs for them, but then when it comes to the library, a lot of the public says, “Not in my library!” which is unfortunate. I don’t know why people are so afraid of teens, but I definitely get this sense of “They can’t be on the streets!” coupled with “They don’t belong in the library.” Thank you for putting this issue out there and sharpening my understanding of it. As for schools, I am a high school librarian, and I think the reason why so many districts require librarians at the high school and not others is because they don’t understand what is done at the younger grades. They “get” that high school students need to research and thus need a library and librarian, but think that elementary students just get story time (which of course isn’t true) something that teachers can provide. Megan, I think you’re correct that many folks don’t “get” the importance of a K-8 librarian. And unfortunately it can be a bit of a catch-22–librarians ourselves are often the best at explaining what we do and why it’s important, so a school without a librarian (or volunteers) often doesn’t know what it’s missing. Linda, I think the scenario you pose is a huge reason we “lose” so many kids at middle school–why reading scores drop off, why many young teens don’t cultivate independent reading habits, and why so many boys in particular don’t come back to the library. I would like to clarify my statement, “I canâ€™t imagine living without our childrenâ€™s librarian.” I can’t imagine doing storytimes, programs, etc… for little kids. I am much better at interacting with teens than preschoolers. However, as a former YA Librarian in a library system that actually had YA Librarains, I wholeheartedly agree with Linda. We need YA librarians in every library! And I can’t wait for the day that I say, “I can’t imagine living without our YA librarian!” 🙂 I’m glad my statement made such an impact. We have no children’s, teen, or adult librarians in our public library system. All librarians in the branches are generalists. So, I can imagine getting by without all of the above. We do it, every day. I’d like to push back a little on your statement, Emily. Are your librarians “getting by,” or thriving? Do any of you wish you had a specialty? Do you ever feel like you’re more qualified to serve one set of your patrons than another? Does catering to everyone make you feel like you’re spread too thin? I’m not trying to say that there’s anything wrong with generalists, of course, but all too often I’ve seen librarians who feel forced to provide services to a group of patrons they don’t really know–or necessarily like. And because so many public libraries don’t have dedicated youth services staff, often that means generalists doing YA or children’s services when they’d honestly much rather be working with adults. This is very heartening, especially since I’m trying to help vitalize services for teens in the library in which I currently work (which is UK-based). Unfortunately, we currently don’t have a single children’s librarian, much less a teen librarian, and the service is definitely suffering from a lack of a both! It’s a real shame, because young people whose parents don’t raise them with the library don’t seem to get much exposure to it. Hopefully we can turn this around and make librarians in both the children’s and teen areas something patrons and staff feel they can’t live without! In our town, the library is very small and we have no choice but to be generalists. We do the summer reading program and make sure the young adult section is up to par. I really don’t think that is enough. We are definitely stretched too thin. There are so many things that can be done for each age group and not enough time or money to do any of them justice. I would like to have the opportunity to work with one specific group at a time. That would give everyone the attention they deserve. 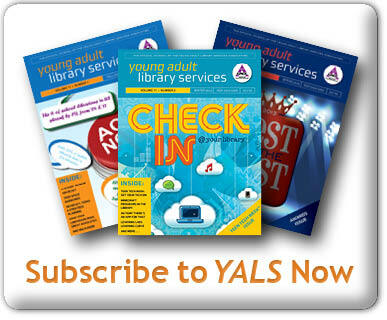 So yes, I think having a YA librarian is very important to keep the teens coming back for more. Right now they come in for the books and movies we have but I cannot keep up with all of their needs. Some of the teens have told me that they would like to spend more time in the library but don’t feel that they can express themselves where it is so quiet and stifling. Given that so many studies of (adult) user behavior show an increasing desire for self-service/self-sufficiency, one could imagine a day when that trend would lead to both Childrens and Teen Librarians being more “important” to a Library than Adult Services Librarians. In reality, of course, ALL of them are important. The real question is, as Megan Blakemore asked, why are Teens and those who are working with them often devalued? Some things never change. 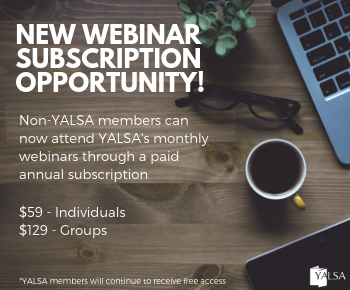 Linda, remember YALSA’s Serving the Underserved, and the workshops we and others gave about this very thing? It’s disheartening that the Powers That Be still have not caught on to the importance of serving this demographic. My goal as a LIS grad student is to ultimately become a teen librarian. I am currently a primary teacher, however. Working w/ little kids is great but I have also seen a gap when it comes to teens.Libraries seem to focus on children and adults and, like many aspects of life, the teen years are all but forgotten. It seems to me that teens need to be reading more than anyone else as they search for answers to life’s difficult questions. Perhaps many teens would not feel so alienated if they were relating to book characters. It’s sad that we get kids excited about books and then abandon them when literature might be just what they need!